Today I'm happy to welcome Becky. She always posts really well written & thoughtful reviews that I have come to rely on for my book picks. Hi, my name's Becky B. I'm a Library Assistant from Nebraska who loves to read. What is the name of your blog? How did you pick your blog’s name? By blog's name is Bibliognome. I picked my blog's name because I like gnomes and I like books and I've always been obsessed with the prefix biblio. Also I wanted something unique and memorable that didn't have the word book in the title. Another inspiration was the picture I had of my dog Meg dressed as Shrek, even though she's gone now I still keep the picture up. I measure blogging success by if I'm happy with what I've written and if my stats say at least one person looked at what I wrote. It's nice to have followers but my favorite thing is when people comment on reviews or anything else that I post. Karen: A lot of people mention comments. We really do put a lot of effort into writing the reviews so is nice when people have something to say even if they disagree. My favorite genres are YA, Urban and Paranormal Fantasy, Science Fiction and Fantasy. I kind of review whatever intrigues me though, if it sounds interesting I'll read/review it. The genre I review the most is YA, probably because there are just so many different kinds of stories that this genre has and trends change so fast that there is always something new. 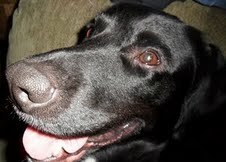 Twitter is what I mostly use to discuss books and promote the blog. I post reviews to Goodreads and LibraryThing but don't do much there besides that. Probably should start a Facebook page but I haven't got around to it yet. My bed or at work when we're not busy. Being somewhere quiet where I can't be interrupted oh and of course it's always nice to have a snack near by as long as it's not something that could mess up the book. Karen: I've heard a lot of great things about both Hammered and Kindling the Moon. Well, I love them when they feel necessary and not contrived. I love a good triangle where the main character has valid reasons for choosing who they do. Nothing annoys me more then feeling like I know all along who the main character will end up with. There have been a lot of great things. One of the best has been becoming more aware of a wide range of authors that I might not have ever discovered on my own. Also discovering that book blogs exist was pretty eye opening and has introduced me to a lot of awesome bloggers, authors, and books. Thanks for participating in The Better Know a Blogger feature Becky! It was great having you. So everyone else - go check out her blog! 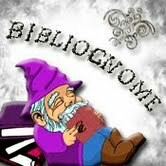 :) Love Bibliognome! Thanks for featuring one of my favorite bloggers Karen. @Rhianna Thanks so much :) Very happy to be one of your favorite bloggers. I had to go see this 'dog dressed as shrek' oh my god! Ha! :D Best thing ever! @Hannah, Thanks, yeah I love buying costumes for my dogs. :) Glad you like the gnomes too.